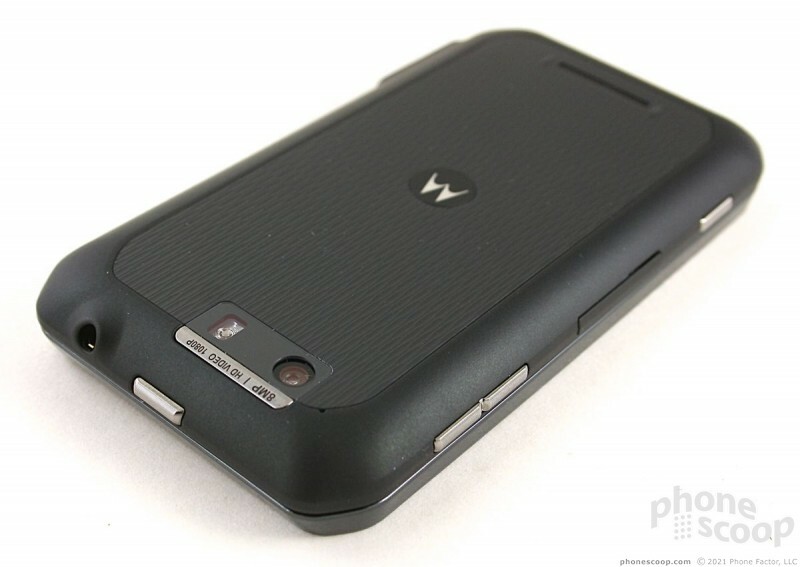 The Motorola Photon Q 4G LTE (Photon) is a sideways slider. That means it's somewhat thick and bulky — though it's still thinner than some monoblock phones. 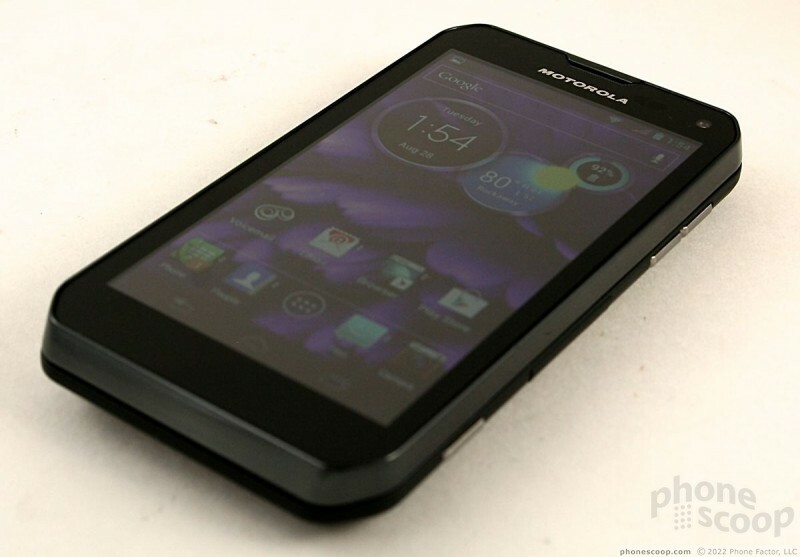 The good news is Motorola has given the Photon a lot of visual appeal by bringing its current design language to the Photon. 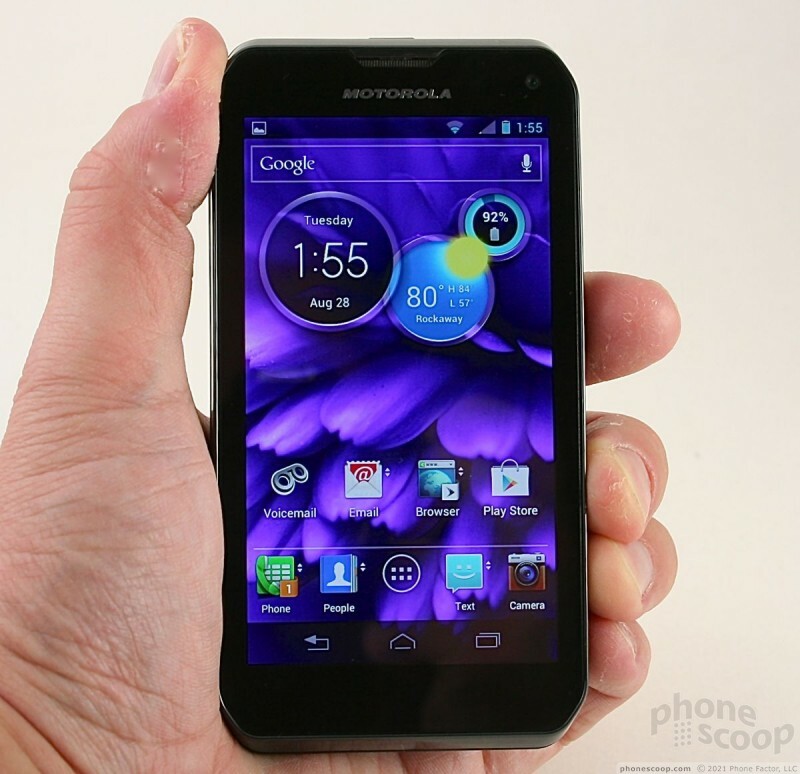 Anyone who's laid eyes on Motorola's recent devices (RAZR, Atrix HD, Droid 4) will see the family resemblance. 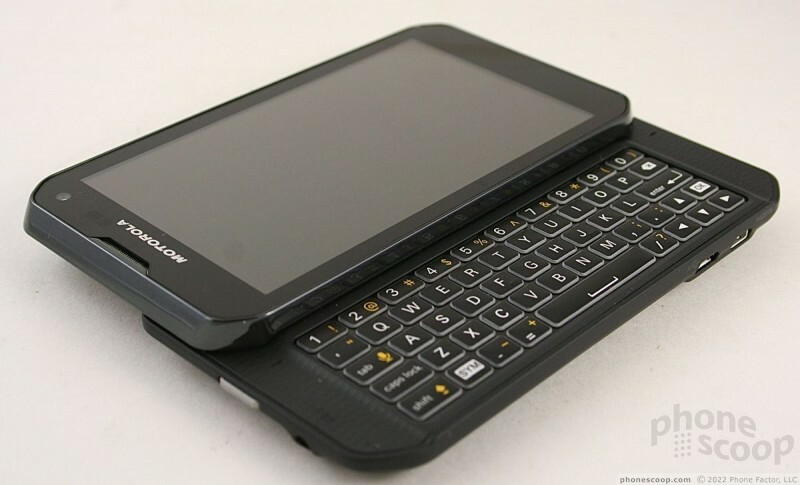 The Photon has a clean look, with side surfaces that angle towards the top/bottom edges. The materials feel decent, but not top-of-the-line. The glass and plastics of the top half of the phone, for example, feel great. 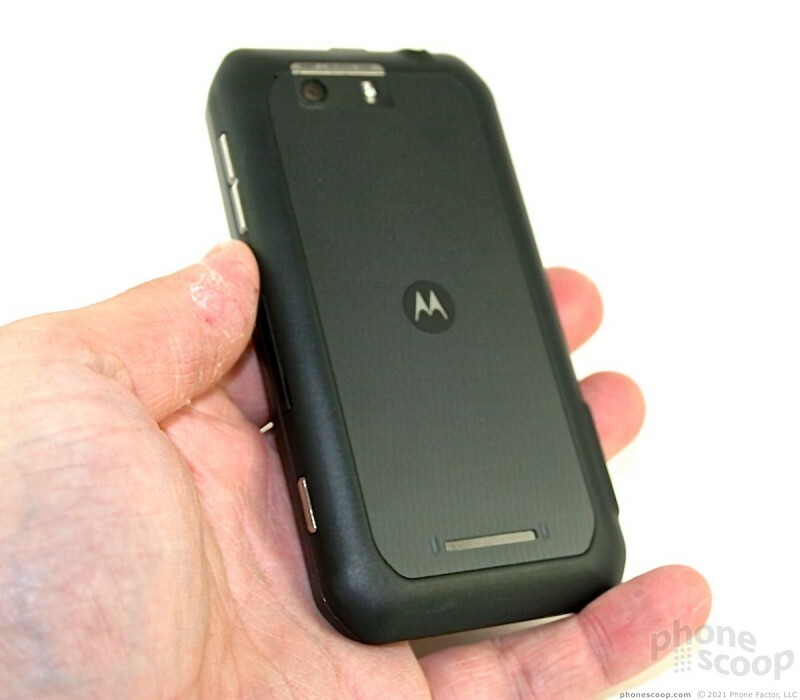 The plastic battery cover don't feel as classy by comparison, and even comes off a bit cheap. Build quality overall is good. The Photon is a big phone no matter how you look at it, but it has a relatively small footprint when resting in your hand thanks to curved back edges. 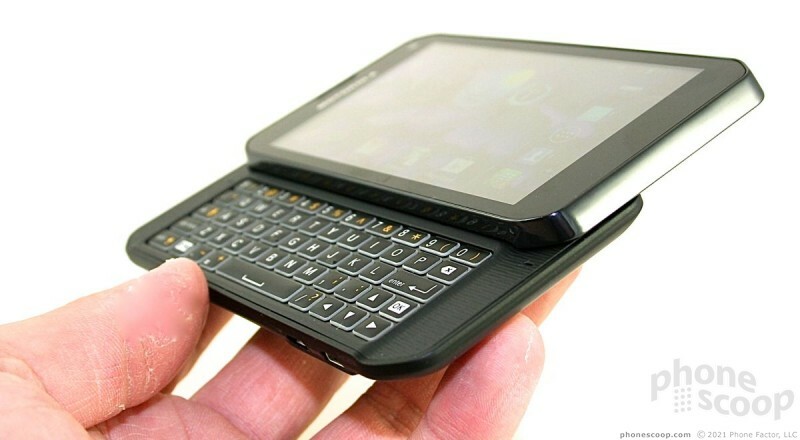 It is comfortable in the palm, despite the overall size and heft. There is a subtle bump encircling the display on the front surface. This lets the Photon rest safely on a flat surface while protecting the display. The Photon will slip into most pockets no problem, but it will be hard to ignore when moving about thanks to its weight. 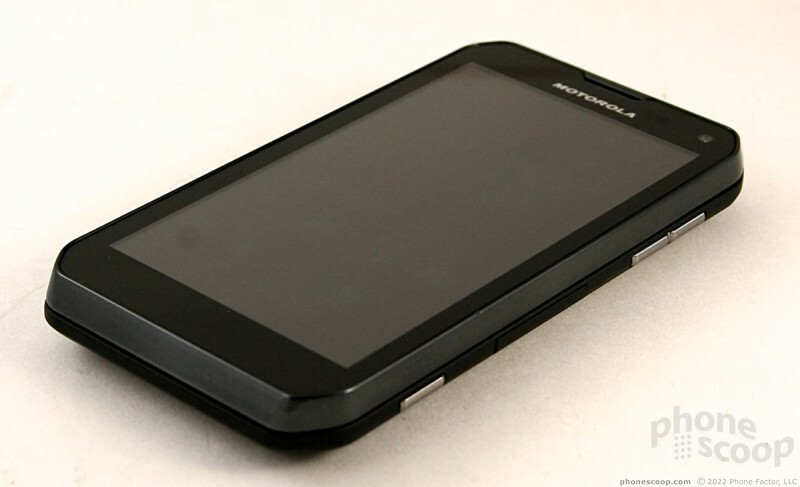 The front surface of the Photon loses the too-much-bezel look that some of Motorola's other recent devices have suffered from. 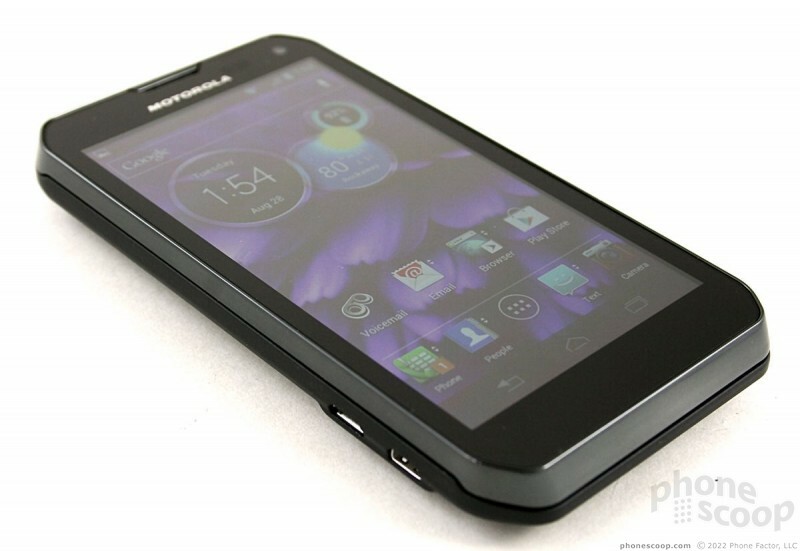 Because the Photon runs Android 4.0, Motorola has done away completely with dedicated capacitive buttons on the front. 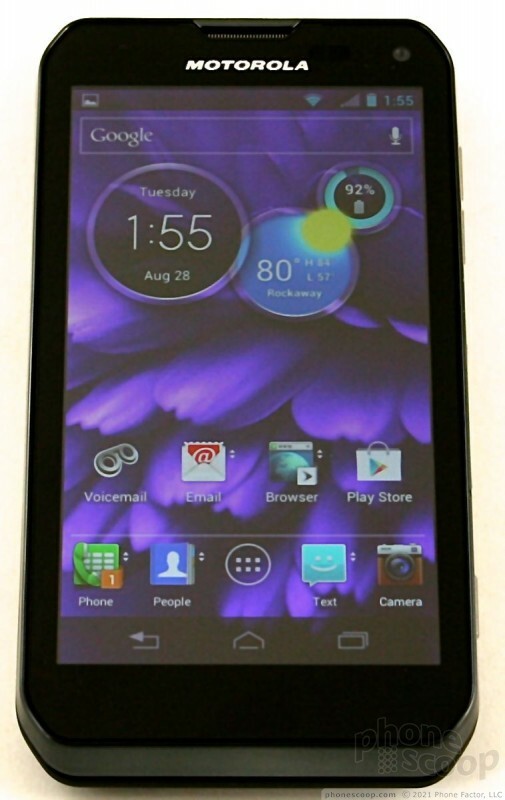 Instead, it uses the Android 4.0 virtual buttons that come and go as necessary. 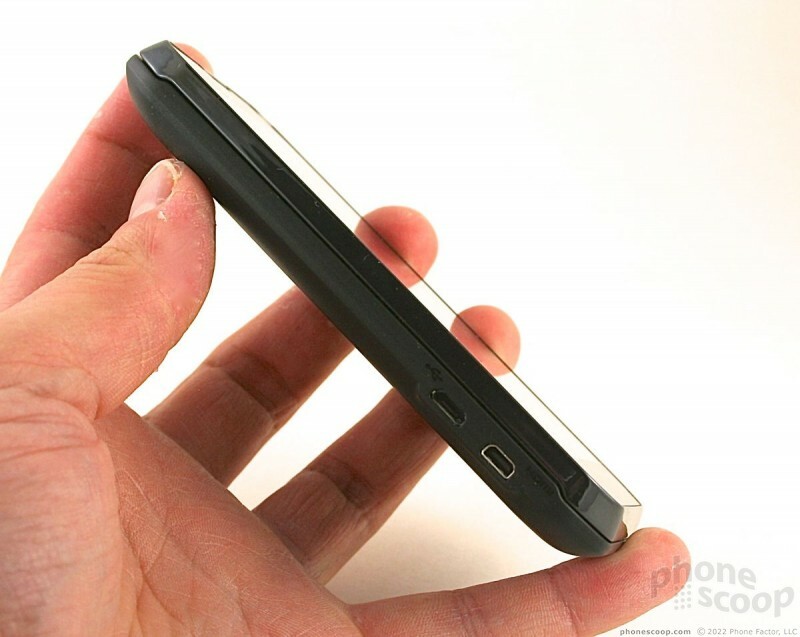 As with many of Motorola's smartphones, the Photon has a docking set-up on the left edge. The microUSB port and microHDMI port are side-by-side, allowing the Photon to lock itself into various accessories. There is no hatch covering these ports, and that's fine by me. The volume toggle is found on the right edge of the Photon. It's small, but fairly easy to use. 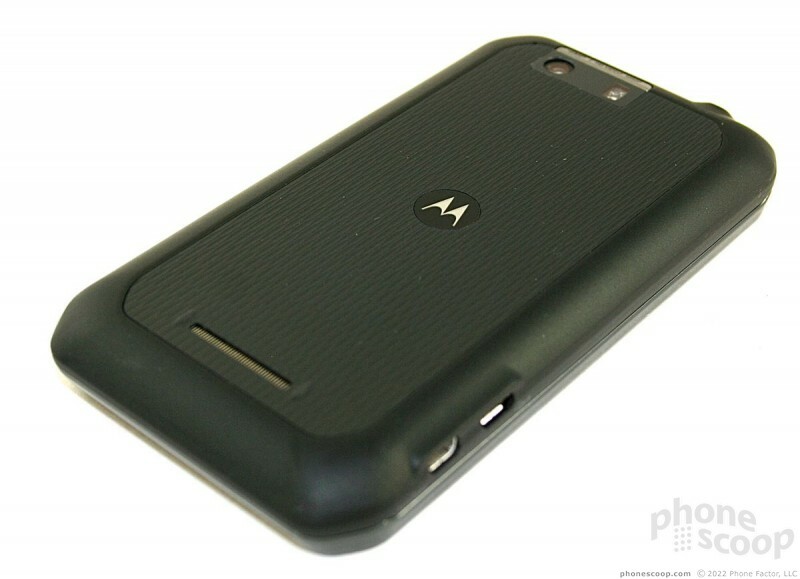 There's also a dedicated camera button on the right edge (how old-school of you, Motorola!) Travel and feedback of the camera button is pretty awful, though. The lock button is on the top of the phone. It has a nice shape and contour, and I found travel and feedback to be good. The 3.5mm headset jack is next to it. The slider mechanism for the Photon is spring-assisted, but you'll have to open it about two-thirds of the way before the spring takes over. It's got a decent feel to it, though I'd like more assistance from the spring. 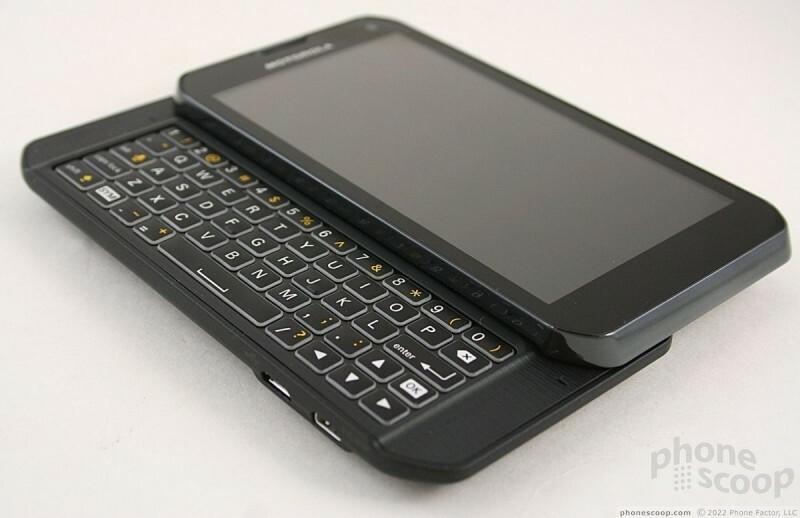 For the keyboard user, there's a lot to like about the Photon's keyboard (it's very similar to that of the Droid 4). The keys are well defined, have amazing travel and feedback, and work very well. The keyboard also has a really neat backlight that makes the keys pop when used in the dark. The backlight provides a great outline for each individual key. It simply feels great. It offers five full rows — including a dedicated row for numbers. The bottom row is reserved for punctuation and controls, such as the shift, symbol, and space buttons, as well as arrow keys for on-screen editing. I would have liked to see dedicated "@" or ".com" keys somewhere, but they are absent. The battery cover is sealed and the battery is inaccessible. You can insert/retrieve microSD cards via a hatch on the right side of the phone.